Absolutely unequaled! 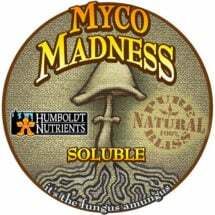 Age Old Soluble Mycorrhizae contains a blend of vitamins, humic acid and twelve beneficial microorganisms (7 strains Endo & 5 strains Ecto). Once applied, it reproduces rapidly and works to establish a friendly environment for the establishment of seeds and transplants. Will also reduce loss at transplanting by minimizing plant stress and encouraging new root development. 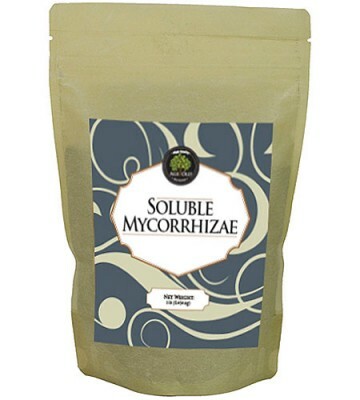 Can be included in tank mixes that contain organic based nutrients. The addition helps maintain and increase the beneficial bacteria and fungi in the soil. This creates an increase in biomass energy that improves soil tilth and nutrient uptake. Over application is not harmful. Age Old Soluble Mycorrhizae must be dissolved in water prior to use and applied within 24 to 48 hours after mixing. It can be used as a soil treatment or as a foliar spray in combination with nutrients and wetting agents. To improve soil penetration and increase the length of time between watering, add 1 gallon of Age Old Promote to tank mix. May be combined with Age Old Fish & Seaweed at the rate of 1 to 2 gallons per tank as an organic fertilizer amendment. Deep Root Feeding: Prepare a 100 gallon tank mix. Add 1/2 to 1 pound package and circulate until dissolved. Use standard injection and grid pattern for deep root feeding. Transplanting Trees & Shrubs: Tank mix 1 pound in 150 to 200 gallons of water. Soak bare roots and ball stock prior to planting. Finish transplanting by applying liquid as a drench after back filling. Nurseries: Tank mix 1/2 to 1 pound per 100 to 250 gallons of water. Liberally saturate porous media in seedling bed, trays and containers. Over Seeding & Sod: Tank mix 1 pound with 100 to 150 gallons of water. This application should cover 7,500 to 10,000 sq. ft.
Root Dip – Small Plantings: Dissolve 1 tsp per gallon of water. Soak planting completely. May be repeated every 10 to 14 days during active growing season. 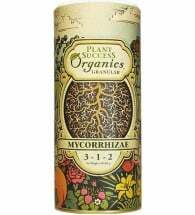 This powerful blend is used to enhance plant growth and nutrient uptake. This biologically active mix can help plants improve nutrient and water uptake. Use to encourage root growth and increase water and nutrient uptake. 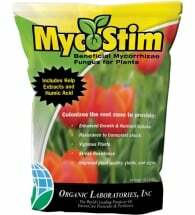 A mixture of beneficial fungi that are well suited to a wide variety of soils and plants.